Home » Blog » Are Integration Challenges Slowing Down Your DevOps Initiative? Businesses today are constantly looking to innovate smartly, get new products to market faster, and enhance customer service, and majority of CIOs are struggling to transform their IT organizations. Modern development needs to move fast, with businesses expected to push out multiple iterations and updates in shorter sprint cycles. A huge amount of resources is being pumped in to accelerate and scale software delivery through the adoption of DevOps practices. Yet a recent survey by Forrester reveals that 64 percent of businesses are dissatisfied with the length of time it takes enterprises to ship new software. So, the new question is how to accelerate DevOps in order to expedite business outcomes: How can you ensure faster time to value from your DevOps initiatives? How do you put your finger on the bottlenecks that are limiting throughput? How do you combat waste and identify the opportunities for process improvement? The holy grail for DevOps is to automate all the way to production. It is the best way to broker peace between different teams and make them collaborate. With manual interventions at each stage of the application delivery life cycle, the In a typical scenario today, DevOps teams use a diverse array of tools to automate individual DevOps functions, such as requirements management, test management, infrastructure management, or release automation. While each tool may address a specific area of the software delivery workflow really well, there is no easy way to make these tools talk to each other. As a result, your activities are optimized locally but not across your end-to-end software delivery workflows, resulting in fragmented “silos of automation.” As DevOps initiatives mature, tool sprawl ensues, and teams have to wrestle with an infinite loop of tools, which cannot work together in a seamless fashion and often even overlap with each other. Although individual tasks are automated, the tools are not aligned with each other, so there is no visibility, traceability, or auditability across your entire end-to-end workflow. If your development changes can’t move swiftly into production, the overall lifecycle will still be painfully sluggish. What’s worse, this will result in increased organizational friction among disconnected teams (Dev, Testing, Ops, etc. ), bogged down in a quagmire of siloed tools and manual processes that prevent effective collaboration. The bigger the organization, the greater the lack of collaboration among different teams, each with their own processes, tools and goals. Scalability: It should be based on an integration methodology that is scalable, reliable and easy to maintain, so it can eliminate the limitations of point-to-point integration between two tools, and handle the scale and complexity of the work that modern IT organizations are undertaking. Ease of integration: It should let you configure integrations with just a few clicks, without having to tediously create new mappings between tools. Decentralization with governance: Your dev, test, and ops teams should be able to build and manage their own integrations with the help of pre-built templates, without relying on a central team to address their needs. At the same time, the platform should facilitate centralized governance and control by ensuring proper administration, monitoring, and management. Hybrid integration: The platform must be able to connect endpoints across any combination of on-premise, and cloud environments. Seamless multi-tool connectivity: It should keep the various tools in your software delivery life cycle in sync and enable end-to-end automated workflows, by addressing a wide range of use cases (B2B, application, data and process integration) with near real-time data integration. When you choose your integration platform, thoroughly test it and see if it is using the latest technology to power the core integration engine as well as the front end. 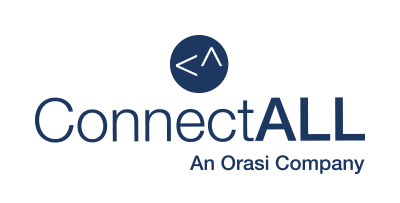 ConnectALL is a leading enterprise application integration platform with end-to-end DevOps lifecycle capabilities. It enables enterprises to leverage their existing investments and remove barriers to continuous delivery by allowing different ALM and DevOps tools to coexist and interoperate. Once your tools are integrated, they can work in concert and link all of the automation touchpoints and information flows from development through production. This allows your teams to visualize, orchestrate, and track the continuous delivery workflow to reduce errors, defects, rework, and outages while speeding up the movement of releases through the toolchain. Take a look at the complete list of powerful features offered by ConnectALL or drop us a line at marcom@connectall.com in case of any questions.